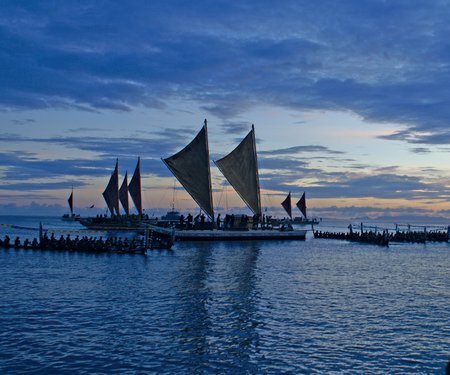 Come along to Te Marae at Te Papa to hear a fascinating expert panel discussion about the first Pacific people's journey to Aotearoa, featuring Hoturoa Barclay-Kerr (Te Toki Voyaging Trust), Lauaki Lavatai Afifimailagi (Samoan Voyaging Society), Sean Mallon (Te Papa), & Peia Patai (Okeanos Foundation). 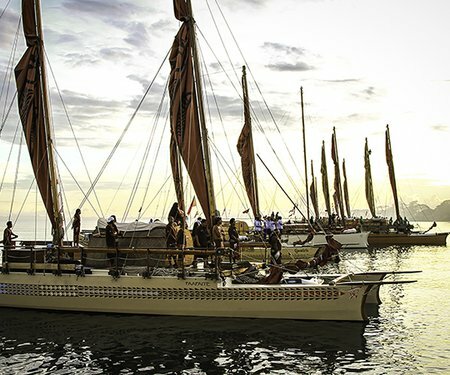 The Voyaging across the Pacific Artist Talk is a Kupe Dreaming event and part of A Waka Odyssey, a celebration of our place in the Pacific that includes the spectacular Kupe: Festival Opening Night. Download the A Waka Odyssey flyer to plan your journey.